Offering you a complete choice of products which include magnetic rod. 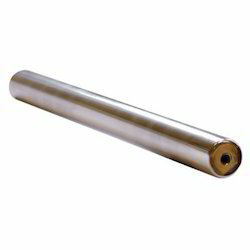 We are a prominent supplier of Magnetic Rod that is offered with one end magnetic to our customers. These magnetic rods are useful tools and are highly used for assembling garages, shops and various maintenance jobs. The sufficient powerful magnets, at their end recovers with great ease nuts, washers from intricate spaces, inaccessible to hand and saves valuable time. Moreover, use of these magnetic rods facilitate removal of iron chips from deep cavities in various heavy castings. Further, these help in removing ferrous contaminants from unreachable areas. These are offered in 10,000 - 15,000 gauss power to our valued clients. Looking for Magnetic Rod ?